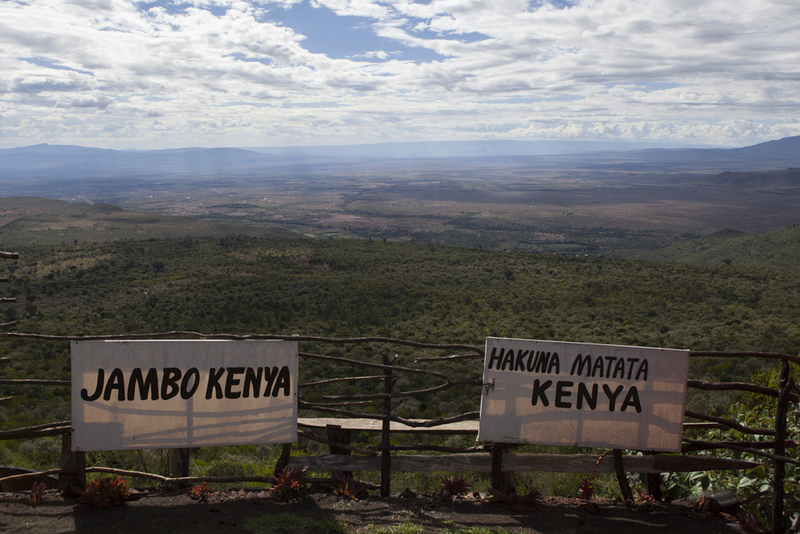 I recently took a trip down to Kenya to see a bit of the countryside and visit friends living in Nairobi. 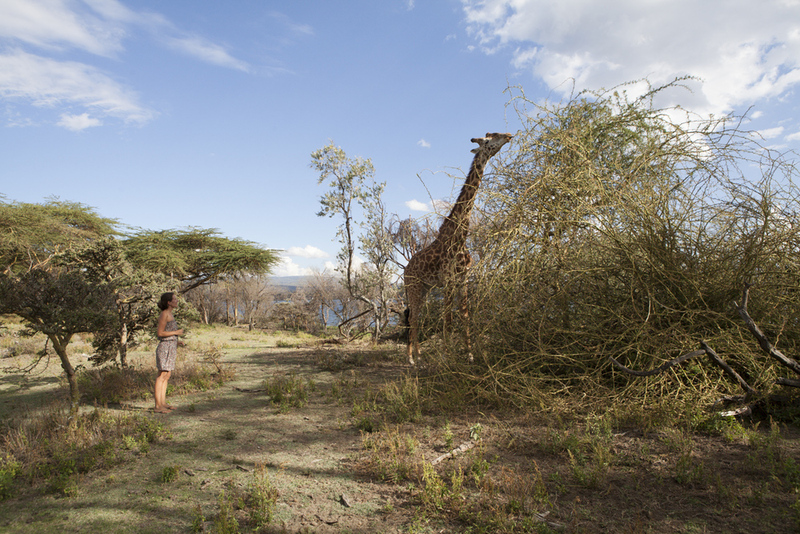 We spent a few days traveling by car a bit northwest of Nairobi, Naivasha as well as Nakuru National Park. We saw loads of animals: many zebra and wild birds, water buffalo, giraffes as well as antelopes and dik dik - and even a famous white rhino. I had a really great time and I'm thinking about going back next month for the Maasai Olympics in Amboseli national park. Will keep you posted on that one. Here are some pictures from the trip. A guide from Crescent Island breaks the skull of a hippo to get a tooth for me. 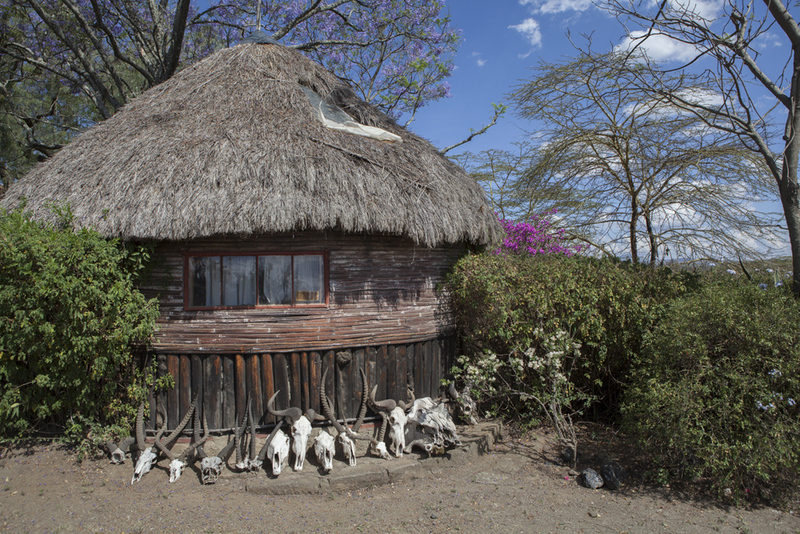 This hut in on the property of Linda, the owner of Crescent Island near Niavasha. Madeleine feeds a giraffe - or tries to. Guinea fowl doing a strange dance. 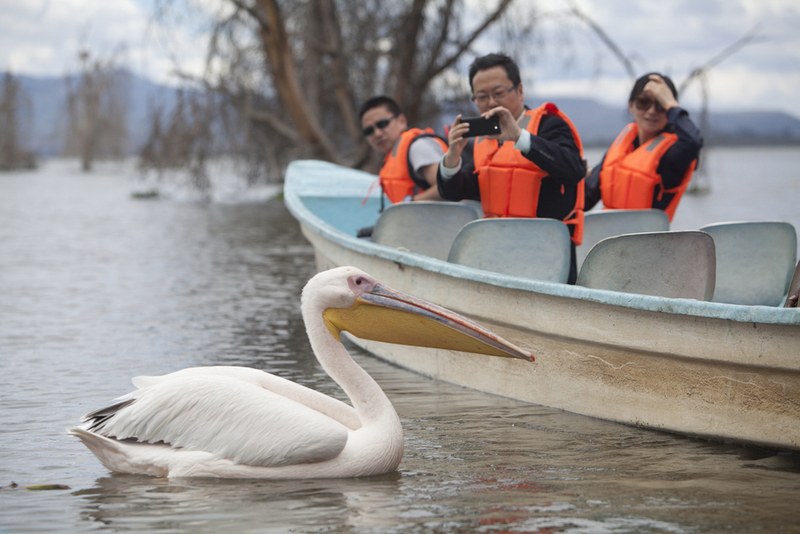 Some people taking a picture of a pelican. 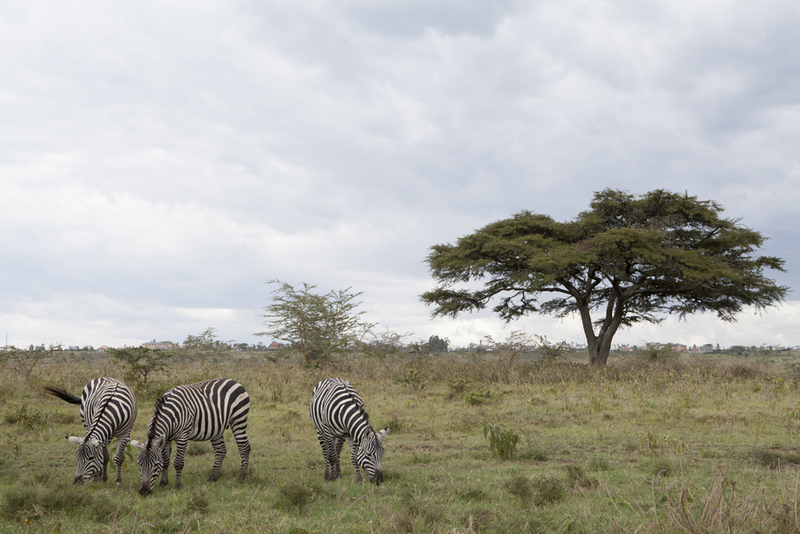 Your typical African landscape including zebras and a acacia tree.